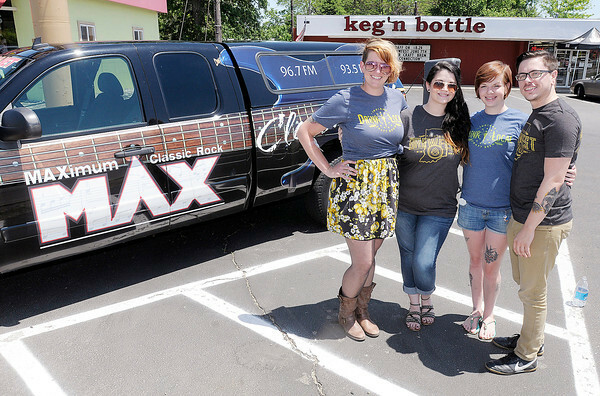 The Brew Crew was promoting the upcoming Anderson Brewfest on local radio and at the Keg 'n Bottle on Saturday. From left are Shanna Henry, Audra Sternberg, Jenni Thompson and Chris Corona. Sharon Zimmer is not pictured. To view or buy this photo and other Herald Bulletin photos, visit photos.heraldbulletin.com.